This recipe was surprisingly easy to make. I made it for the first time 2 hours before the party started, finished on time and got amazing feedback on the squares during dinner! If you're looking to bake something simple for your family or need to bring something to a party, this is the perfect dessert. The ingredients are extremely easy to find and the procedure itself is simple and does not take much time. 2. 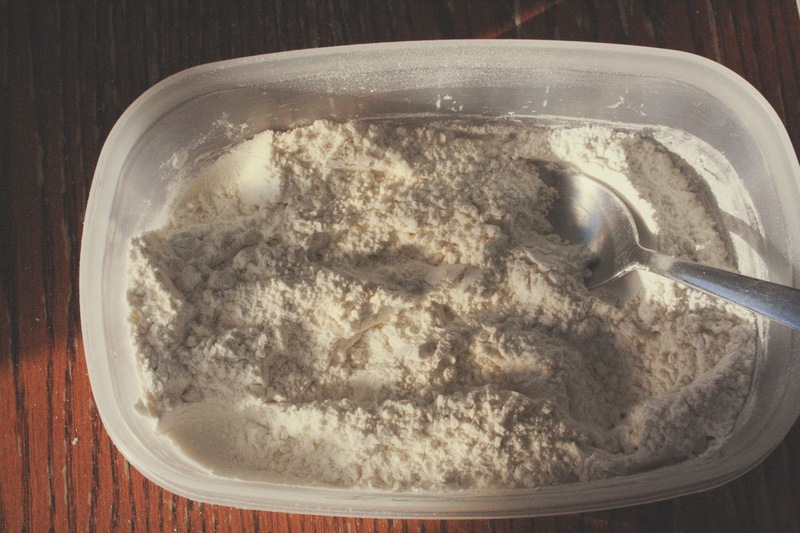 Combine 1 cup of all-purpose flour and 1/4 cup powdered sugar together in a large container and stir until even. 3. 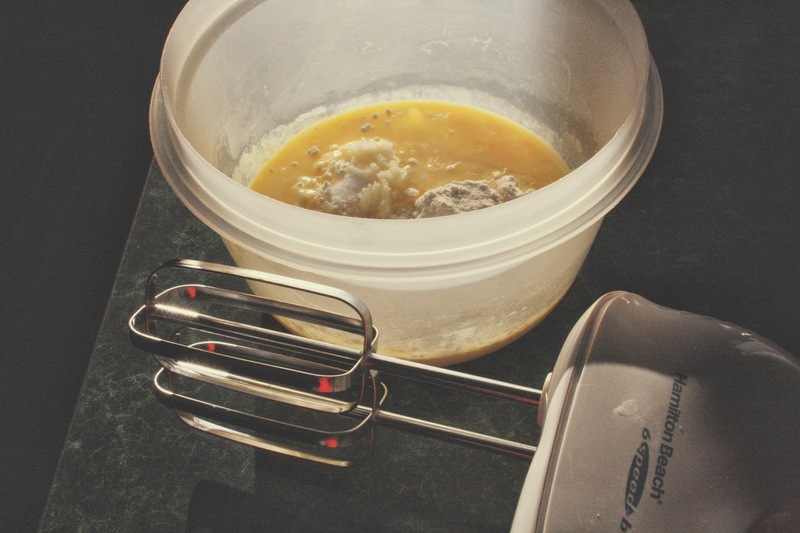 Add the butter into the mixture and, using a pastry blender, cut in the butter until the mixture resembles coarse crumbs. Note: Being someone who bakes just for fun, I did not have a pastry blender. 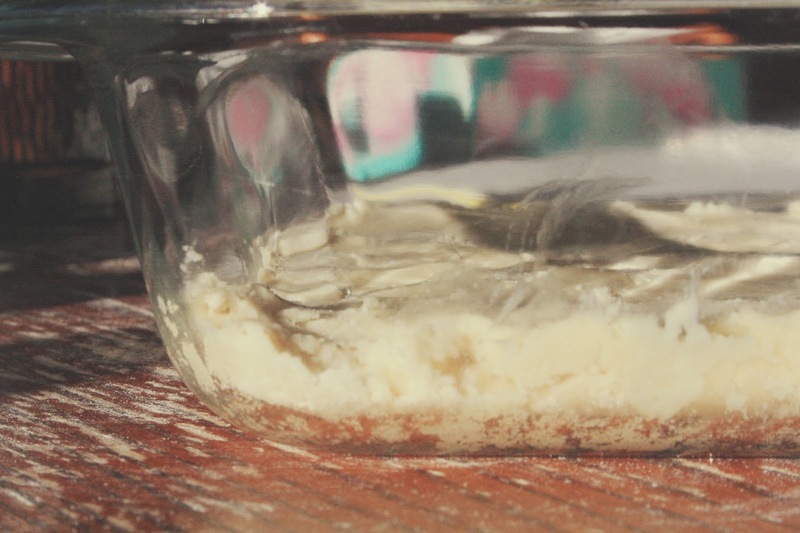 Instead, I just used a spoon and gradually combined the mixture myself. In my opinion, using margarine for this method would be easier if you always forget to soften your butter ahead of time like me. 4. 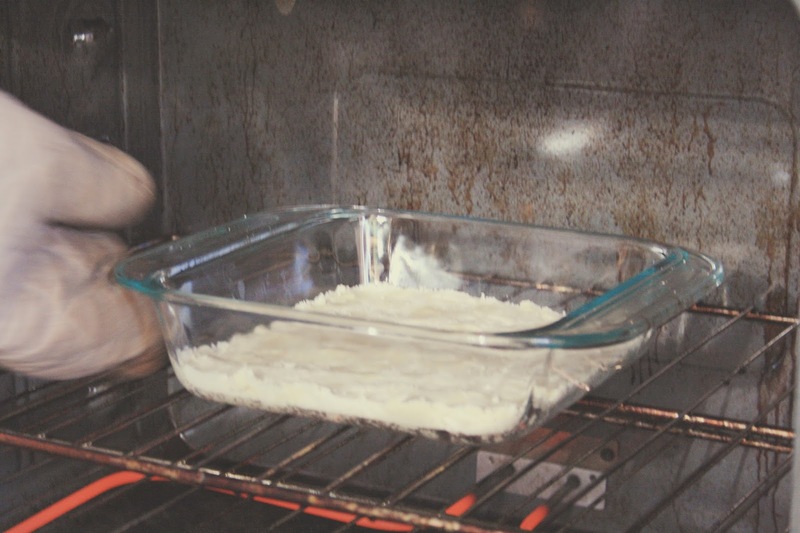 Taking an ungreased 8x8x2-inch baking pan, firmly press the mixture into the bottom. 5. 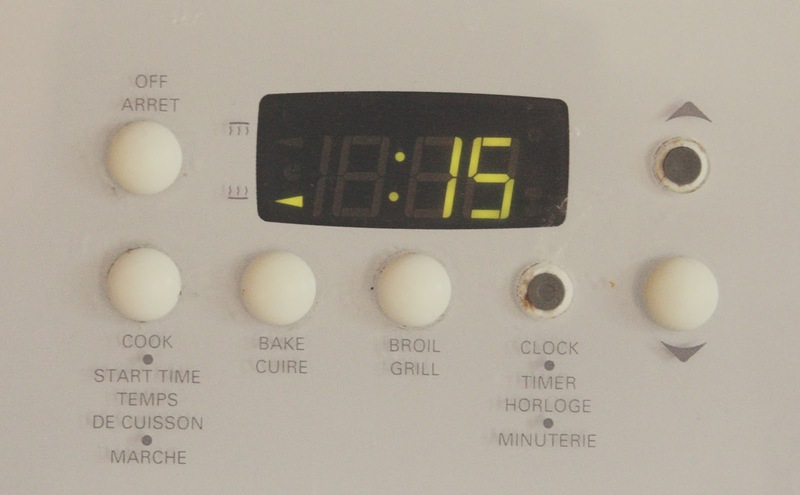 Pop your pan into the oven and set the timer for 15 minutes. 6. In the mean time, take half of your lemon. 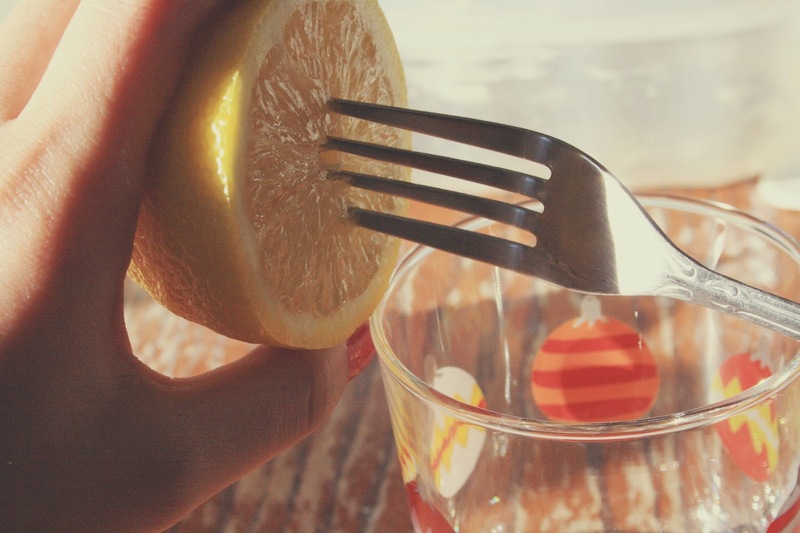 You can squeeze out the juice over a cup using a fork like in the pictures above. 7. 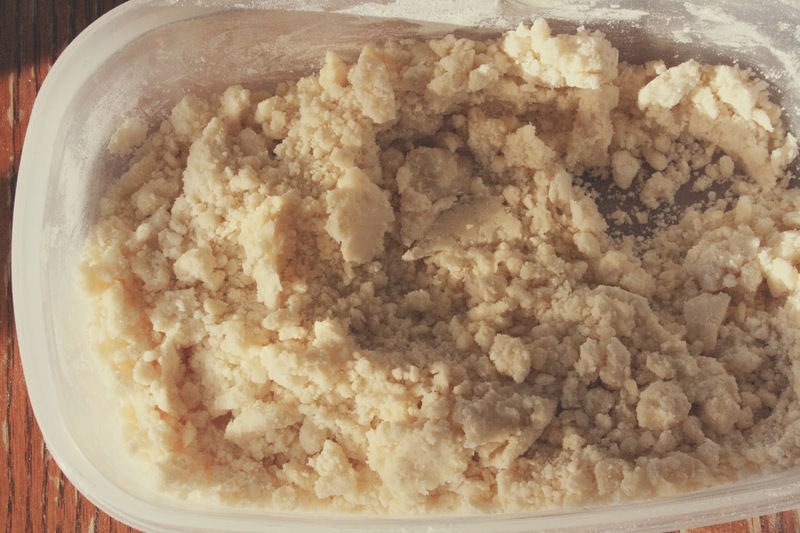 In a large container, combine 3 tablespoons of lemon juice, eggs, 2 tablespoons flour, baking soda and granulated sugar. 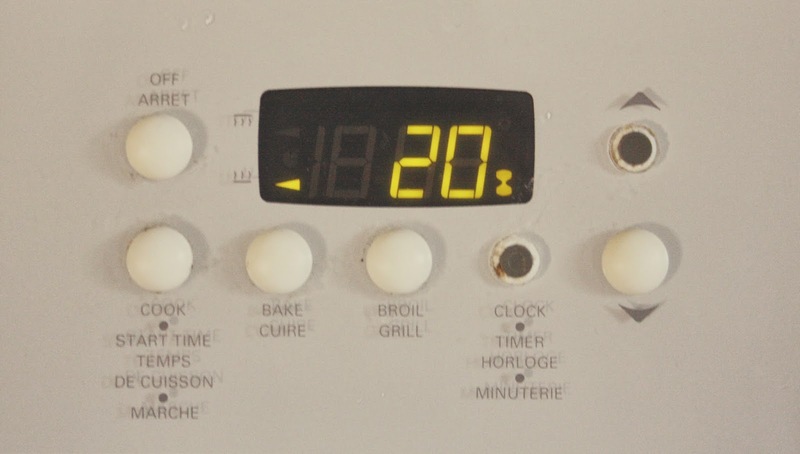 Using an electric mixer, mix the contents on medium for 2 minutes. 7. 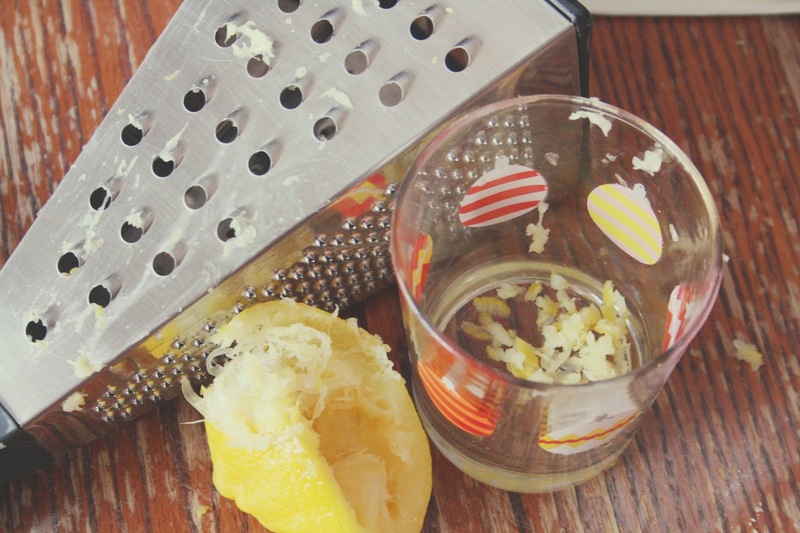 With what is left over from the juiceless lemon half, use a grater to obtain 2 teaspoons of lemon peel. Add it to the mixture. 8. 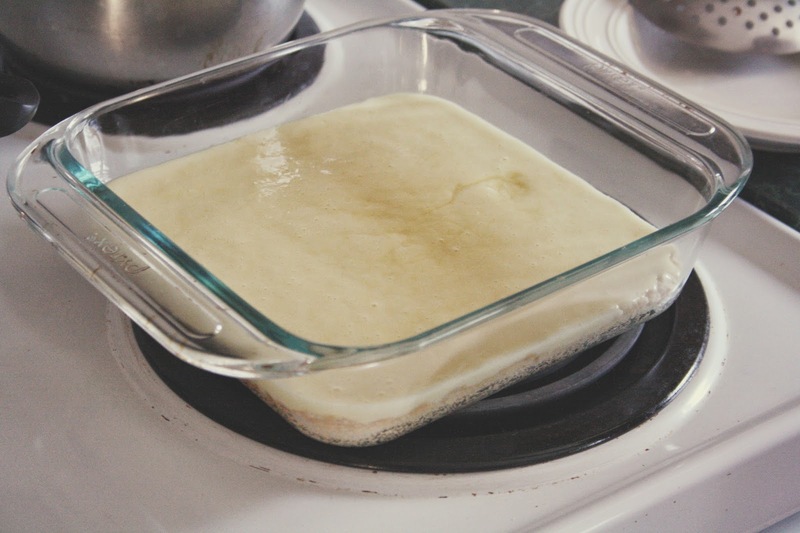 When you pan is out of the oven, pour your newly made mixture over the hot crust. 9. 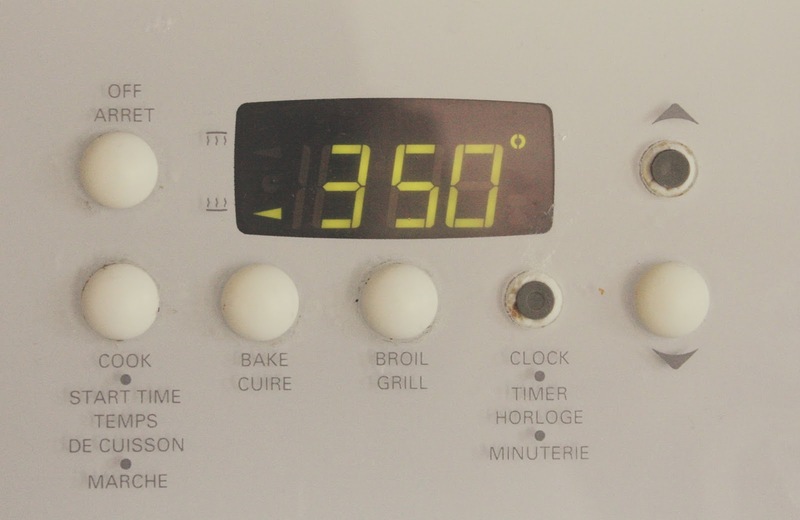 Put the pan back in the oven and set the timer for 20 minutes. 10. When your pan is almost ready to be taken out of the oven, take out a saucepan and put it over the stove. 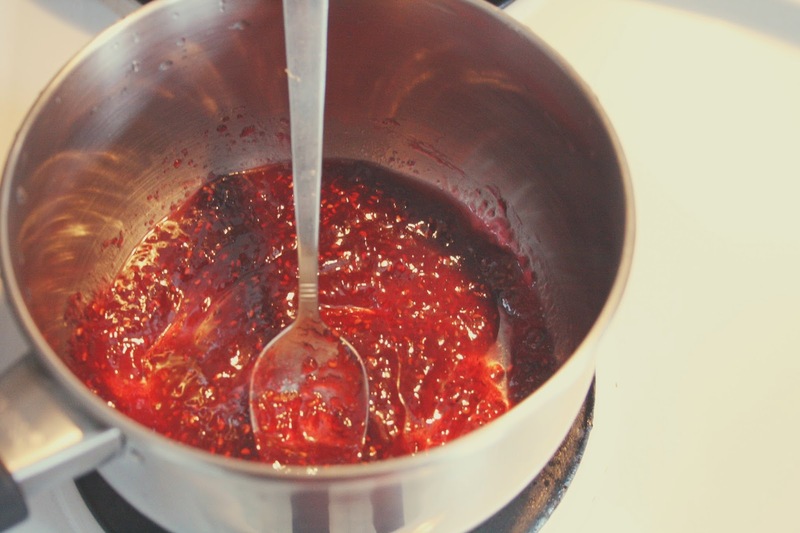 In the saucepan, combine the strawberry jam and 1 teaspoon of lemon juice. Stir the mixture over medium-low heat until it is melted. 11. 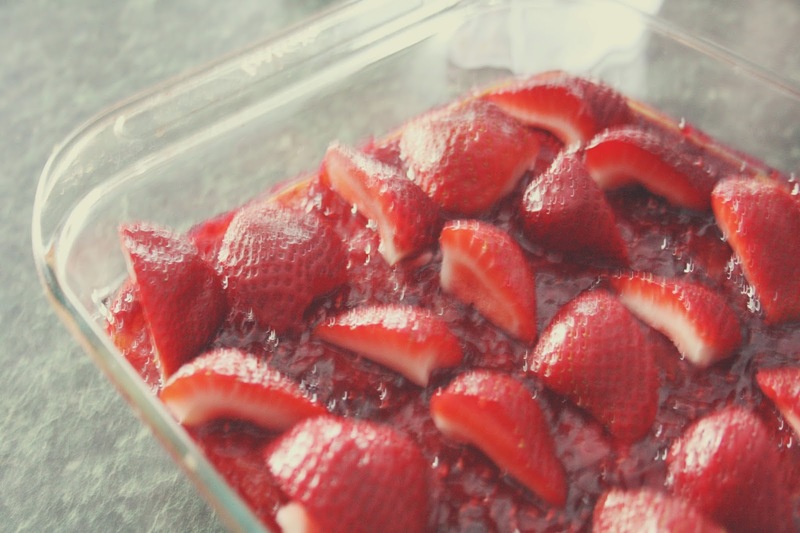 After removing your pan from the oven and setting it onto a wire rack to cool off, wash your strawberries and cut the into quarters. 12. Apply an even spread of the jelly solution onto the squares and distribute the strawberry quarters evenly so each of your 20 squares will have one strawberry. Leave to cool completely. 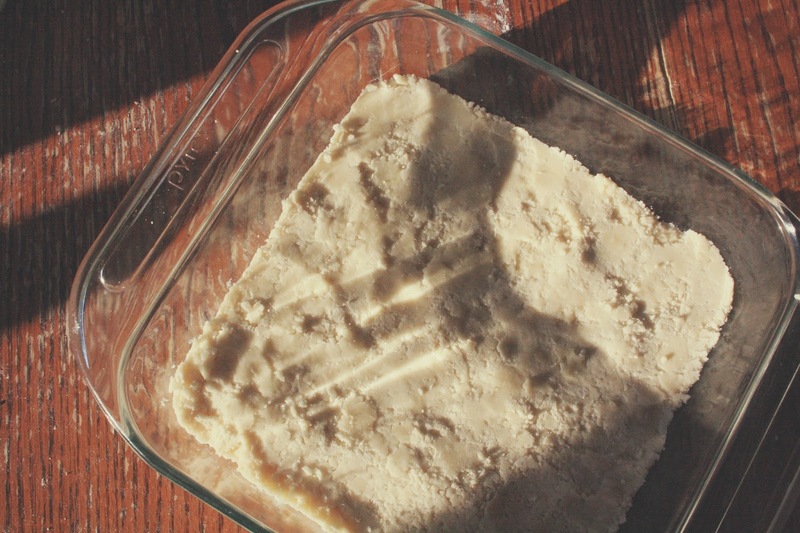 Once it's been chilled for at least an hour, you can go ahead and cut out the bars! This recipe honestly only required stirring and pouring mixtures into a pan, haha! It's so easy and convenient and doesn't take much time to prepare. Not to mention it was a big crowd pleaser, my sister's friends loved it so much that she didn't even end up getting one, haha :P Not a big deal though since it's so easy for me to make again! There you have it, my first attempt at Strawberry & Lemon squares! That's it and I'll see you next time! oh wow this look so yummy! 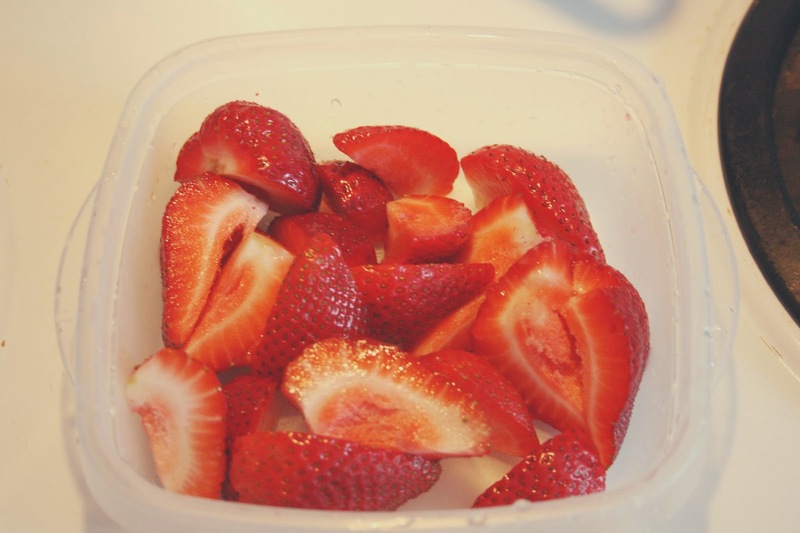 I love strawberry's! Great post well done! 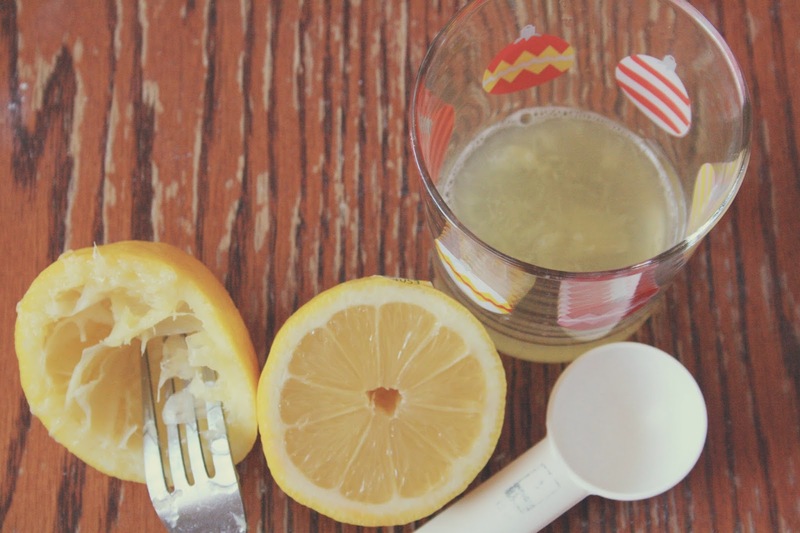 Oh my this looks amazing, I love anything with lemon, so this would be a must.